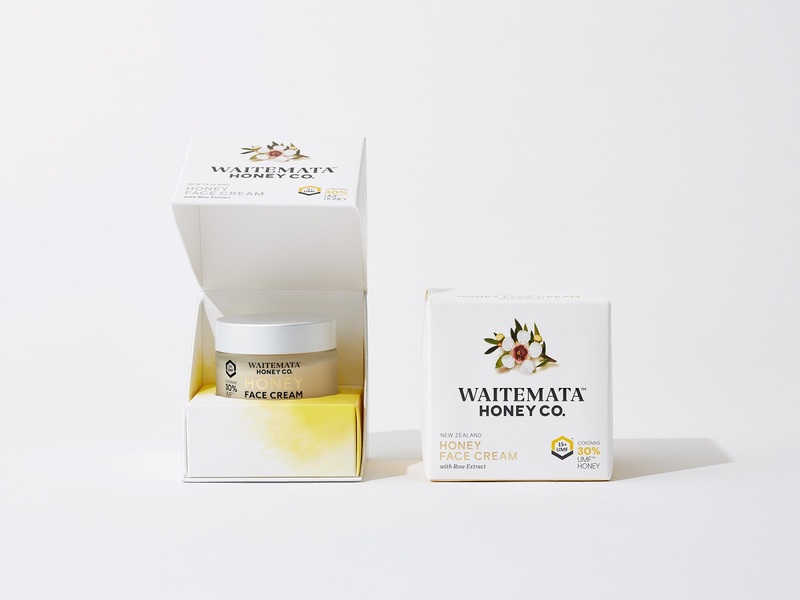 In such an over saturated and competitive market sector as New Zealand Manuka Honey brands need to look beyond the standard ‘honey in a jar’. 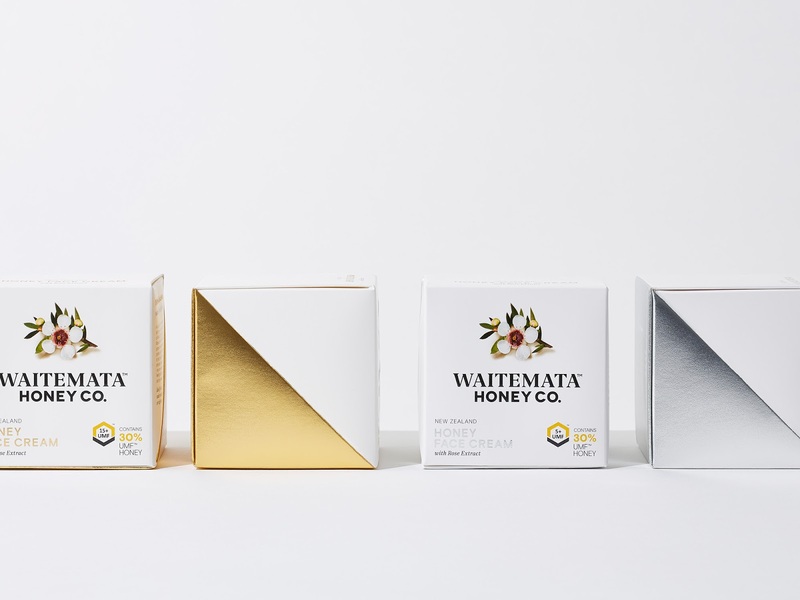 Waitemata Honey has been actively working on new product development outside of the norm, pushing their industry leading honey knowledge into new categories which have yet to utilise the powerful, natural goodness of Manuka Honey. 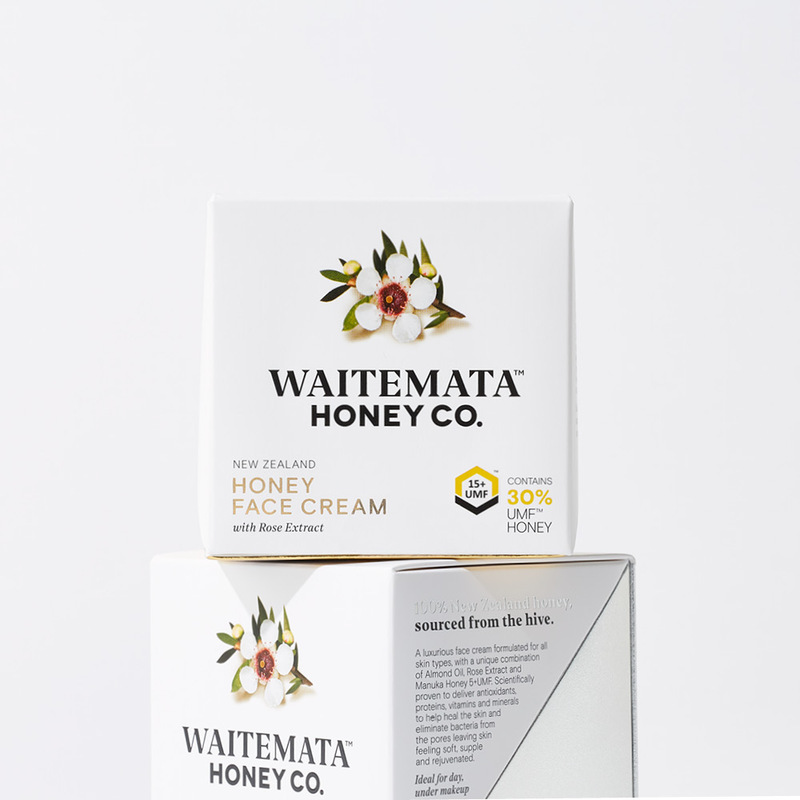 In conjunction with a food technologist and partnering with a business specialising in premium cosmetics, Waitemata Honey have succeeded where others have failed by producing a premium face cream wit ha high percentage of honey content. 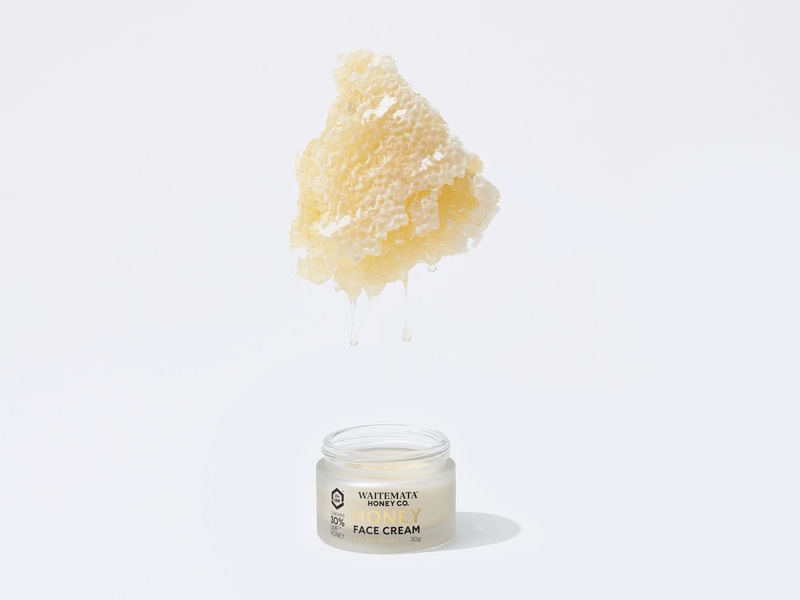 While the honey product was unique, the category is saturated with brands. Onfire were asked to help develop packaging that would stand out in this crowded space. 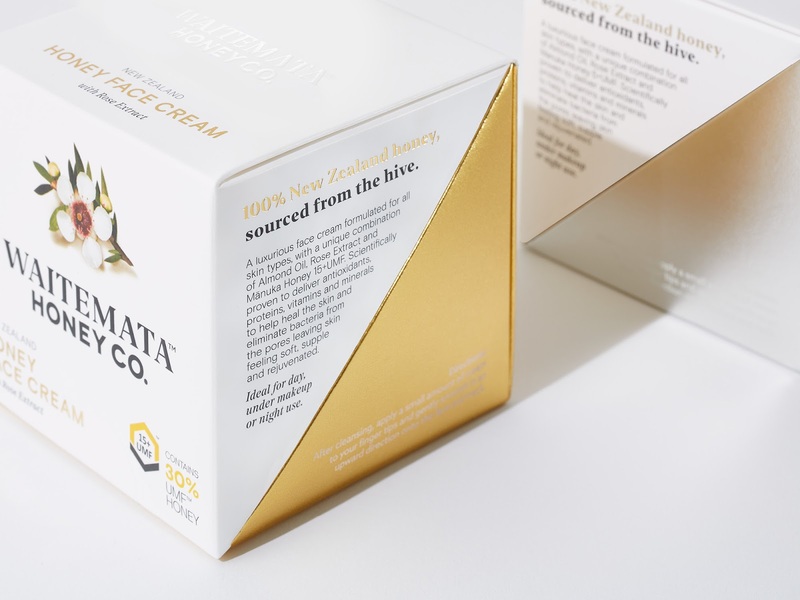 Steering clear of the standard ‘honey’ cliché graphics and messages, we worked with a local box manufacture to create a bespoke clam opening box which, when opened, showcases the product on retail shelves. 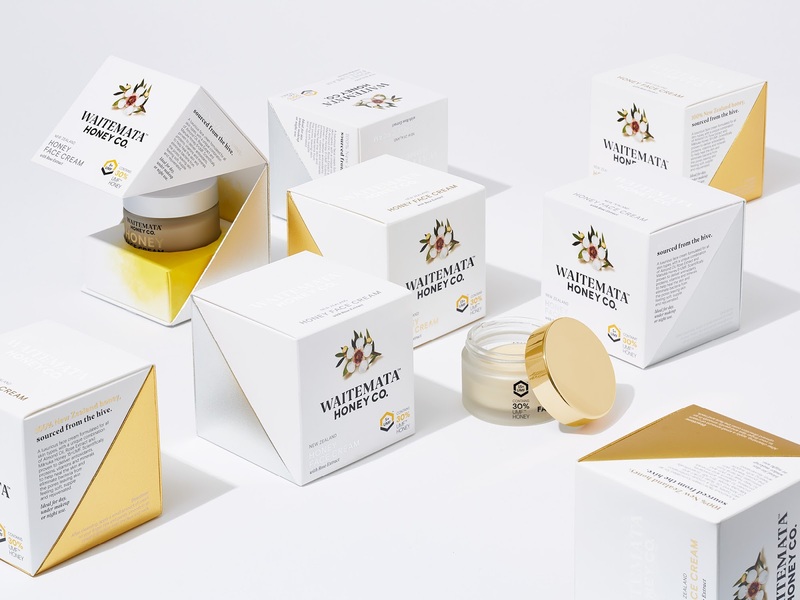 Learning from brands in the ultra premium space, a clean and minimal livery was created to bridge the gap between natural honey and niche health and beauty. All with a hint of glam. 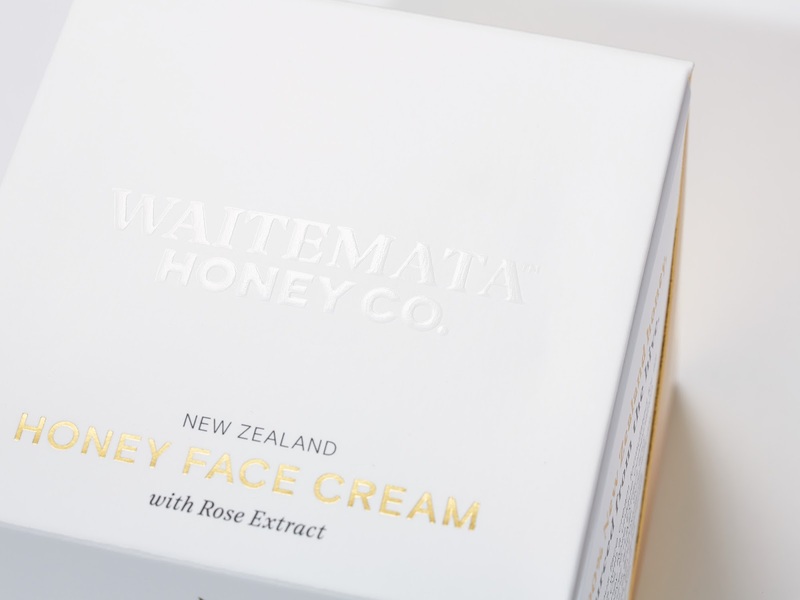 Silver and gold foils denote the Manuka Honey strength which speaks directly to the consumer shopping in this high end, premium cosmetic market. 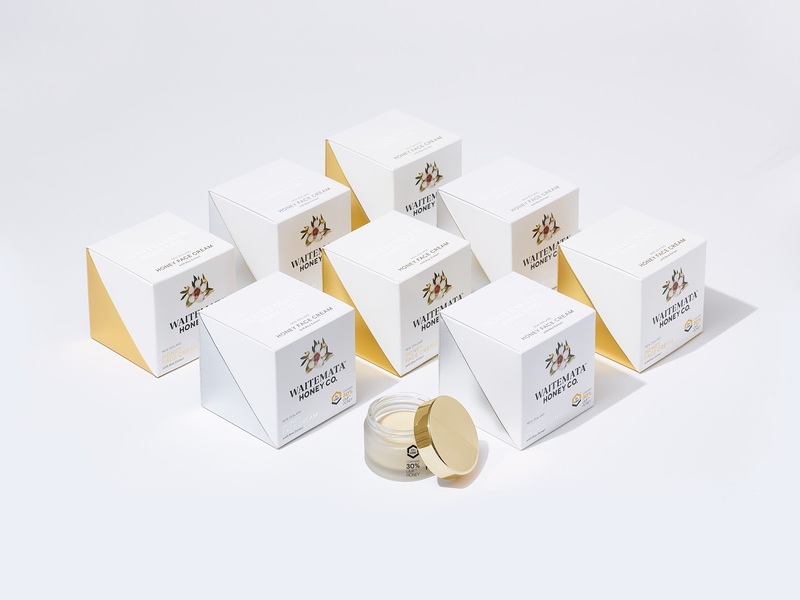 Launching in mainland China in retail and overseas duty free channels, Honey Face Cream is a minimalist and self-assured brand with a strong point of difference. 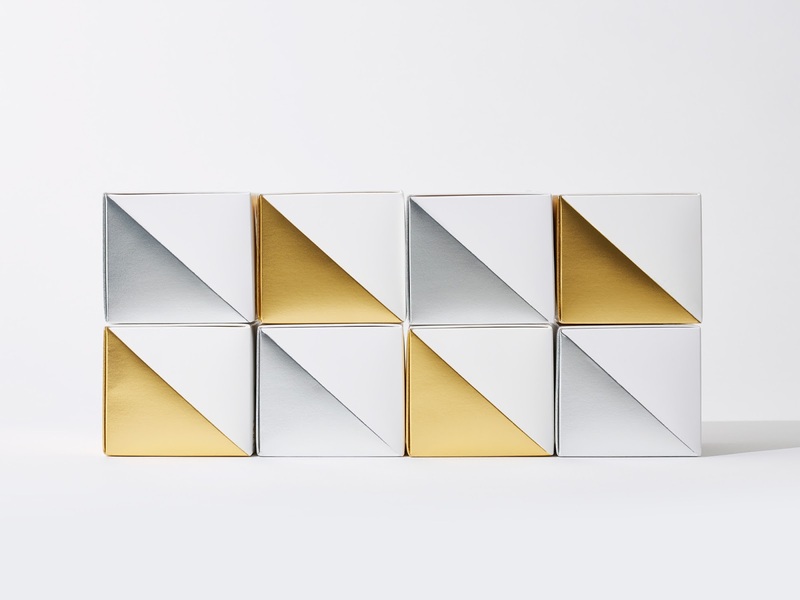 A bespoke cube shaped clam opening box was designed in conjunction with a New Zealand based box manufacturer.